If you want text, you write on a tablet or laptop available on multiple devices there some excellent options. Since these options are inherently insecure, they are inappropriate for passwords, or credit card numbers, or other information that needs to be protected. You should be in control of what gets shared. That said, it is very convenient that notes I take on my tablet, are automatically available on my desktop when I go to the office. I make notes when I find useful technical information online while at my desk. It is helpful to access that information from my phone or table at a client's office. The note might be years old. It is great to have it available even on my phone. I use Evernote which has a free version for 2 devices and a premium version for unlimited device syncing. It lets me sync any notes I want between my Android and Windows devices. Evernote also has iOS and Mac software and an excellent Web Clipper for browsers. It is excellent at not only notes but also capturing websites. I've been using it for over a decade and have over 2,700 notes. SimpleNote: Available for iOS, macOS, Android, Windows, Linux, and as a web app. It is free. It posts notes to an online account and locally, so they can always be in sync. Tags and search functions are available. It has versioning so you have a history of note changes. Adding a tag of someone's email address will share that note with that person. SimpleNote is made by the company that makes Wordpress. This is a clean and simple way to share text, but not websites or files. Paste what you want shared with your other devices into a note, or take a note with their apps. CintaNotes: Windows Note taking app. But, in addition, it allows you to highlight and copy any text with a hotkey. You would simply use this hotkey instead of CTRL-C to copy text. It then creates a CintaNote. 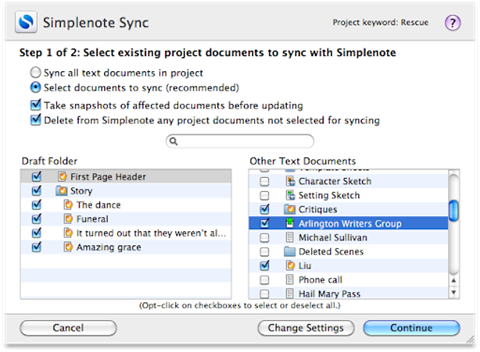 You can use a SimpleNote account or Dropbox to sync with other platforms. Simple and fast. The basic program is free, but advanced features are available in the Pro version for $39. This is a onetime cost, with a year of updates. It is not a service, but the purchase of software. Google Keep: Works with Android, iOS, Chrome, and the web. It coordinates with Google Docs. It is free. Elephant: A free open source alternative to Evernote. Stores notes as files and folders. 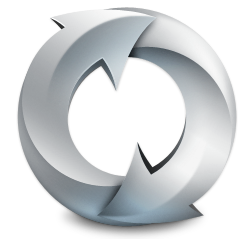 If you want to sync, you can use any of your current syncing services with it, like Dropbox, or Spideroak Hive. If used with Spideroak Hive, it would be secure. It has applications for Windows, macOS, and Linux. Sadly, not Android or iOS.